Part of Pirelli's flagship Cinturato range the Pirelli P1 Cinturato Verde is a premium tyre designed to be enviornmentally friendly without compromising on performance. 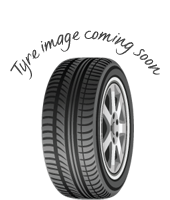 Available in both a run flat version and as normal tyre, it has scores well in all internal testing particularly with regards to mileage, offering some of the best miles per tyre in the Pirelli range. In addition to the Cinturato P1, the P1 Verde aims to lower fuel consumption further and tone down the level of external noise adding to a more comfortable driving experience. Part of Pirelli's flagship Cinturato range the Pirelli P1 Cinturato Verde is a premium tyre designed to be enviornmentally friendly without compromising on performance. Available in both a run flat version and as normal tyre, it has scores well in all internal testing particularly with regards to mileage, offering some of the best miles per tyre in the Pirelli range. In addition to the Cinturato P1, the P1 Verde aims to lower fuel consumption further and tone down the level of external noise adding to a more comfortable driving experience. 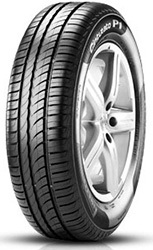 Available in both a run flat version and as normal tyre, it has scores well in all internal testing particularly with regards to mileage, offering some of the best miles per tyre in the Pirelli range. In addition to the Cinturato P1, the P1 Verde aims to lower fuel consumption further and tone down the level of external noise adding to a more comfortable driving experience.